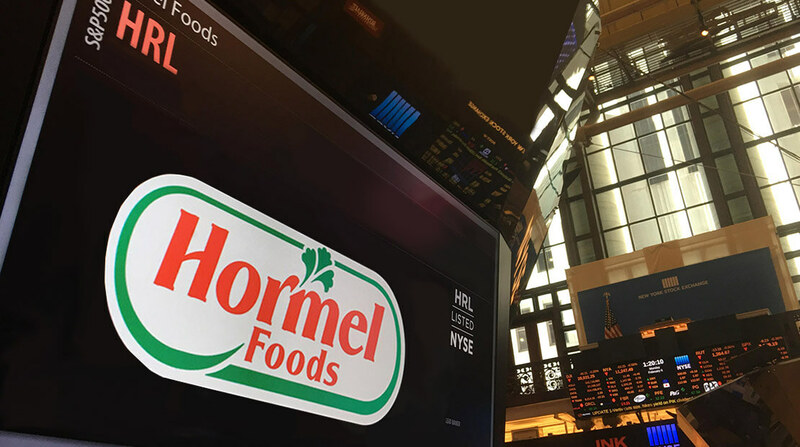 Hormel Foods Corporation (NYSE: HRL) today announced stockholder approval of a two-for-one stock split at the company’s Annual Meeting of Stockholders on Monday, Jan. 31, 2011. The stock split, first approved by the company’s Board of Directors on Nov. 22, 2010, is implemented by splitting the par value of the company’s common stock from $.0586 to $.0293 per share and increasing the number of authorized shares from 400 million to 800 million. Stockholders of record at the close of business on Jan. 31, 2011, will receive one additional share of common stock for each share owned on that date. Under the rules of the New York Stock Exchange (NYSE), where the company’s common stock is traded between Jan. 31 and the distribution of the new shares planned by Feb. 14, 2011, the selling stockholder is responsible for delivering the new shares received to the buyer. The annual dividend rate, when adjusted for the two-for-one split, will be $.51 per share. Hormel Foods Announces Executive Changes Scott Aakre has been named vice president of corporate innovation and new product development. Special Aisle for Ultra-Convenient Meals Paying Off for Hormel Foods Hormel Foods launched a multi-year effort to understand how consumers shop for its products and adjust its shopper marketing to hit those sweet spots.